HOMEGym In the SpotlightNew Class Offerings!! Bowling Green Athletic Club is the only Club in town that offers Indo Row and Pound Classes. Working in teams, partners and as one crew, Indo-Row® provides a TRANSFORMATIVE total-body workout that challenges the body and focuses the mind. The unique format of Indo-Row® captures all the elements of competitive, on-water rowing, creating a class that is fast-paced and engaging from the first minute. From “Skills and Drills” to “Waves and Recoveries,” and the final build up to a friendly but competitive “Race,” Indo-Row® quickly converts first-timers to devoted team members. 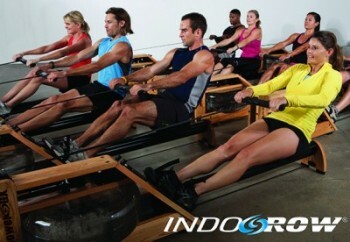 Indo-Row® is designed specifically for first-time rowers, no experience is necessary. Indo-Rowers burn calories, sculpt muscle and enjoy a fun interval workout in a uniquely motivating, team-oriented fitness environment. POUND® IS THE WORLD’S FIRST CARDIO JAM SESSION INSPIRED BY THE INFECTIOUS, ENERGIZING AND SWEAT-DRIPPING FUN OF PLAYING THE DRUMS. No Comments to "New Class Offerings!!"